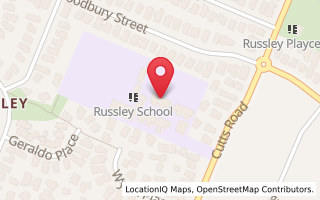 Russley School takes pride in preparing students to be life long learners, to ensure success at high school and for learning beyond formal education. We strive to achieve our mission statement of 'promoting personal best' through strong curriculum delivery. school dispositions, developed through extensive consultation, encouraging students to be respectful, self-aware, self-managers, team players, creative, problem solvers and healthy. Inquiry learning is a teaching and learning approach used to deliver the curriculum, by integrating units of work around big ideas or broad bands of knowledge. Allows collaborative situations for students to construct their learning together. 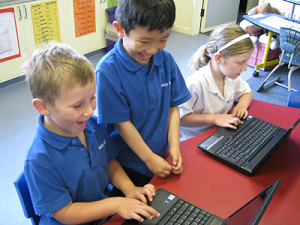 Naturally integrates numerous ICT tools and processes into learning activities. Click here to view videos on Phonological Awareness and Reading Recovery.